Cockatiels, more commonly known as Weiro’s, are one of the best birds to keep for pets and teach to talk. They are bigger than budgerigars and smaller than a Galah. We have bred birds for over thirty years and to be honest, I cannot say that I prefer one bird more than another. Although I like the look of Budgerigars, in my opinion, they are very aggressive little birds. One on its own, to teach to talk is ideal, although in an aviary I have seen many kill other birds babies, to take their nest as their own. I hated to see that happen so I would never breed them again. All birds like humans have their own individual personalities. For instance, Finches are beautiful and very active little birds. They are fascinating to watch, especially at breeding time as they build their nests. They spend hours carting sticks and other materials back and forth working tirelessly until it is just right. Cockatiels, Budgerigars, Galahs and Indian Ringneck parrots can all be taught to talk. Therefore, it is a personal choice as to which type of bird you select for your pet. The picture below is of our blue female and grey male Indian ring necks. These produced many babies that we hand reared and trained to talk. How to tell the male from the female. Indian Ringnecks can not be visually sexed until about 2 years of age. Then you will see a distinct ring around the males necks. As you can see on the grey bird above. The big breeders often have them sexed with a feather test or the vet can do a blood DNA test. How Old Should a Bird be? It is best to choose a young bird if you really want to teach a Budgie or Weiro to talk. If you choose to have a Galah, ring neck or even a white Cocky or Sulphur Crested cockatoo for a pet then you need to take one right from the nest. By doing this, it will bond with you so much quicker. It will mean more hard work although the rewards will be worth it. 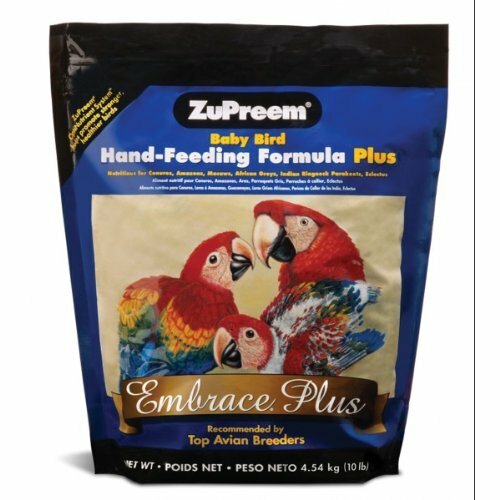 You have to hand feed this bird every four hours and this is not easy. As they eat learn to eat, they will become more fastidious or cantankerous when eating. Credit: Â© T PhotosIf taking a young bird from the nest you need to keep him/her in a small box in the beginning to keep it warm, as though still in his nest. If the weather is cold put a small wattage globe over the top of the box to keep it warm. This is mainly because it no longer has its parents or other siblings to keep it warm. As it grows it will get feathers and then you can put it into a small cage where it can sit on a perch. Teaspoon with side edges turned up to form a spout. Follow directions on package. This will depend on the age of bird as to the consistency of the mixture. Start with a runny mixture. Then as it accepts the food, gradually thicken slightly. Mix it with hot water, but as with feeding a baby you do not want to burn the little bird’s throat so be very careful. Hold the bird in your left hand (if right-handed) with a cloth wrapped around under its beak. Proceed to feed it with either the syringe or the teaspoon. Keep a check that the food does not become cold. It is far better to mix a small amount rather than give it cold food. Like I said it will take a lot of patience. It takes time for the bird and you to learn the process. So persevere and you will succeed. special pop up play area at the top which encourages it to come out of cage and play. Also comes with 3 wood perches and 2 food and watering cups. You can put the bird in this when going out with a couple of toys to keep it amused. Before starting, check, is it a boy or a girl? That helps before naming it. Choose a two syllable name, something like Sammy, or Rocky, or similar. Now repeat that name every time you walk near his cage. No! It will not happen overnight. It will take a couple of weeks although you need to repeat that name until he/she learns it then start off by saying “hello Sammy” or whatever you named it. Cheating: If you have a small tape recorder or similar repeat the name over and over again. Play this when you are out on an endless tape. Like ones used in an answering machine. There is also a mimic me voice recorder available for this too. After it learns his name and anything else why not try whistling the same tune over and over. Or try the old wolf whistle. Please do not teach it to swear. You may think it is funny, but this could prove very embarrassing at times. We have hand-reared many ring necks, and cockatiels successfully, each became beautiful talking birds. Just a word of caution: If you decide to teach the larger parrots then be aware, these birds have sharp beaks and will damage your furniture with their beaks. Also, they love sitting on top of doors and any type of wood, which they will destroy. Birds love to help you while peeling the vegetables or steal things when turning your back. Having said this, they make beautiful pets and great companions. Question 1: When you have a pet bird, can you put it back into an aviary with other birds? Answer 1: Yes, you can put your pet bird back in an aviary. You will lose that one on one interaction with the bird to a certain extent. Having said that; if you go into the aviary every day and still encourage your pet bird to feed out of your hand you can keep it interacting with you. Encourage it to land on your shoulder and if it can talk keep talking to it the same as when inside the home. Question 2: Can you still breed with this pet bird? Answer 2: He or she may take on a mate and breed while in the aviary if that is what you have in mind. Make sure you have the appropriate nest that your particular bird uses. The bird will not be as interactive with you if he has his own mate. Although you can still try to keep talking and hand feeding it. Question 3: Will pet birds bite? Answer 3: Yes, they sure do and boy it really hurts especially if they get a good grip on you. Whatever birds you keep, get the right cage or aviaries for them to live in a healthy and happy environment. 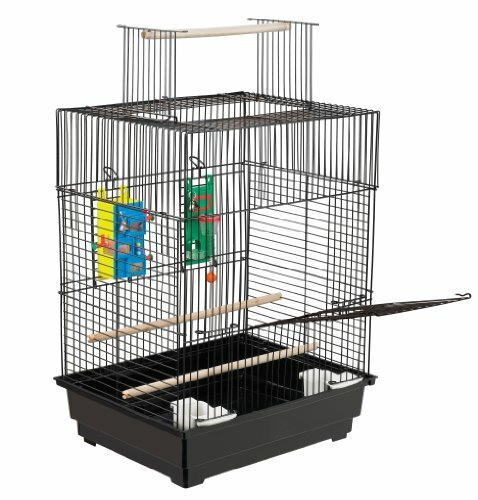 If you are the handy type of person you can build your own aviary or cage. Never overload small cages with too many toys. It is best to add one or two for them to play with. You can change these for something different like ladders or mirrors. Do not add a mirror if training him to talk or he will ignore you and talk to himself in the mirror. Other dangers for your birds in the home to keep them safe. If you have any other questions, then please ask in the comments section below. When hand rearing birds you need to feed them a healthy food. Prepared with the right vitamins for that particular bird. Follow the instructions and you will rear healthy birds to train them to talk. Talking bird "Talking bird." http://en.wikipedia.org/wiki/Talking_bird. 2014.